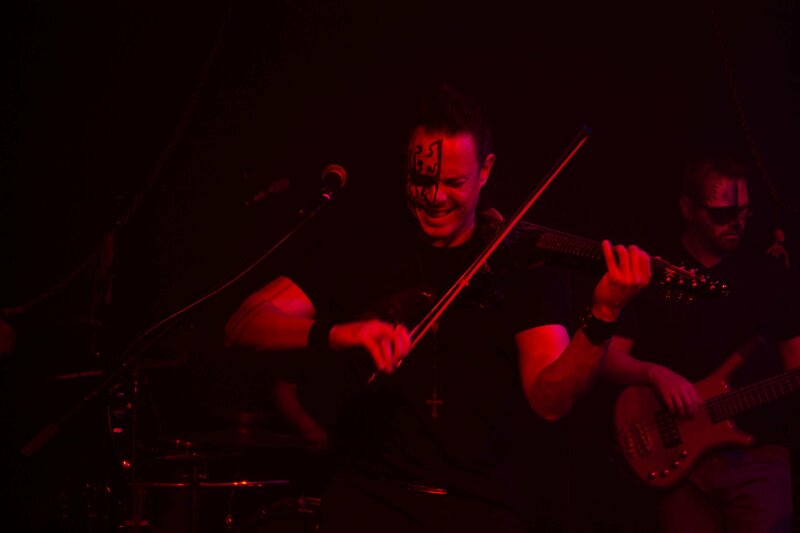 Sugar-skull painted faces, traditional mariachi instruments, electric violins, and dubstep are combined into Austin-born Tequila Rock Revolution. A visionary fusion of different genres by Latino musician Haydn Vitera. 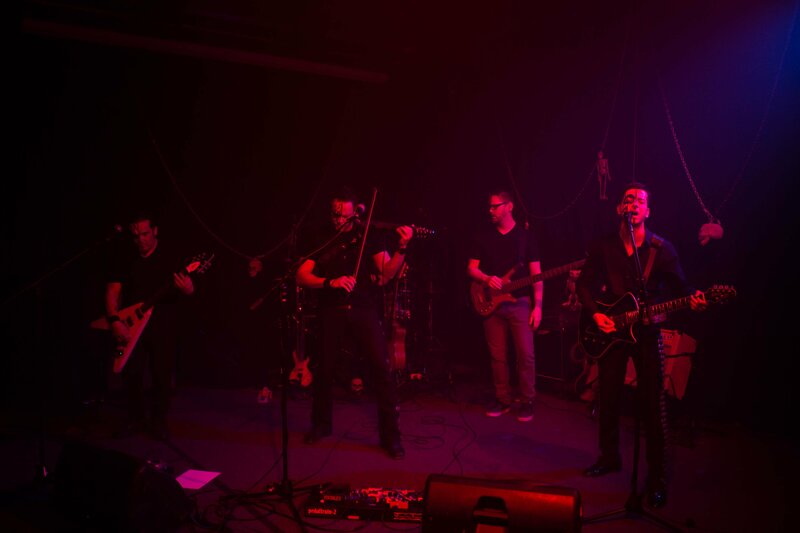 It all started when Vitera’s rock band joined Las Coronelas in 2014, a San Antonio-based Mariachi group, then after some years of being off stage Haydn brought back Tequila Rock Revolution with a few more drops of metal. Haydn has collaborated in the past with George Strait and Stevie Wonder and has shared the stage with famous Latin American bands such as Los Enanitos Verdes. KVRX: I know the origin of the group is a fusion of your solo project VITERA, and the all-female mariachi group Mariachi Las Coronelas. Tell me about your separate projects and how they came to meet as Tequila Rock Revolution. Haydn Vitera: Yeah, that was how the group was kind of born back in 2014. It was actually my original Latin rock band called VITERA. We were booked to open for those guys Metalachi, those guys out of LA, they're awesome. They're basically like a Mariachi group, no drums or anything like that. They do heavy metal songs, Mariachi arrangements, which was very cool. I was always a big fan of them. They asked us to open for them here in town, and I had met Vanessa Del Fierro from Las Coronelas from San Antonio at the now-defunct Pachanga festival. 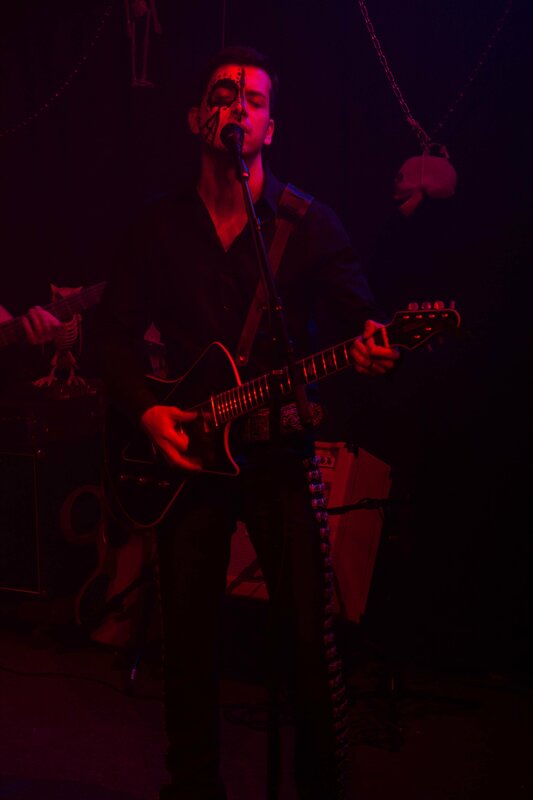 We connected because, in my set at played Hotel Vegas, VITERA did a Cancion De Mariachi from the Desperado movie from Robert Rodriguez. Afterward, she came up and was like, man, I liked the way you play that rock. She goes, "I have my own Mariachi in San Antonio, Las Coronelas as well." So when we got booked for that show with Metalachi, I thought, well now's the perfect time to come together and try to do something. So it was four of the girls and my five-piece Latin rock band and it was kinda like a little army up there. It was awesome. It just jelled really well, the sound of the trumpets and the Mariachi violins. So from then on, we did a few shows together over the next couple of years. Then everybody Kinda got busy doing different things. When I decided to kind of reform and revamp [TRR] I decided let's go all the way metal with it. We started actually 2017 on November 1st, the Day of the Dead. We did our first show, down at the 3/10 at ACL Live and that was awesome. We had a 10 piece band that night. Jumping back to your first show opening for Metalachi, how was it organizing the two bands? It was really interesting because I didn't grow up playing Mariachi, I've never played in a Mariachi before. I love the music, but I never learned all the ins and outs of it, you know. I'm familiar with it, but not the intricate rhythms and the way that they play. One of the most challenging things was to get the Mariachi, players because none of them had ever really played plugged into a sound system and done soundcheck and all that stuff and all the technical aspect. Getting your monitor mixed right and all that stuff. We had to kind of them about that. then on the metal head end, we had to learn how the rhythms go on the vihuelas and match because sometimes those don't match up with how the snares coming down. Also, the Mariachis, when they're playing acoustic, they ebb and flow, they speed up and slow down. It's part of the beauty of the music. But when we're playing, it's like straight to the click, you know, the metronome. So that was, there was a bit of push and pull there in the first rehearsals, but when it all came together and it was magical. How was the name Tequila Rock Revolution chosen? Well actually, my original band VITERA, our EP is called Tequila Rock. I even trademarked that term. I was sitting with a buddy of mine, his name is Rodney Alejandro. He's an amazing producer and keyboard player. He's just absolutely amazing and he's got a really great mind for business and marketing and all that stuff in addition to the music thing. we got together the first time to write some songs which ended up being most of my 2016 EP Tequila Rock. And so he was asking me, so what is your sound? Tell me about, I know that you do rock and it's Latin but how do you describe it? So I described everything and he goes... that's Tequila Rock, and it was genius. What are some of the words you used to describe the sound? Dude, I would just say, it's kind of like party music, but it's like hard rock, like American hard rock. I mean when you say Latin rock, everybody thinks Santana, right? We have those elements for sure, but we're way more towards like AC/DC, that kind of hard rock vibe. But we throw in the congas, throwing Latin grooves and bilingual lyrics, you know, and even some horns and stuff like that. And the cool thing about Tequila is that it can be like throw down, you know, or it can be from a sip, nice upscale bar. It goes for all, you know. I would argue that Tequila Rock Revolution sounds like the soul of Austin, in that it is a blend of different cultures and their art and music, what are some of y’all influences on both sides of the musical spectrum? Well obviously, you know, the the, what we basically do is we take the classic Mariachi repertoire like Malaguenao. So I mean were you thinking about like Jose Alfredo Jimenez or Vicente Fernandez, all those Mariachi Vargas, that's what the on Mariachi side, you know, because we have three guys in the band that are actual mariachis. So they bring that element in and they can kind of like, especially on this, when we start recording our, EP, I'm going to be leaning on them like, Hey, that'd be really cool to do because I know obviously the standard repertoire that the popular songs, but what would be something that nobody else has done and that we could make really cool by mixing it with metal. But from the rock side, Metallica, Iron Maiden, that kind of thing. 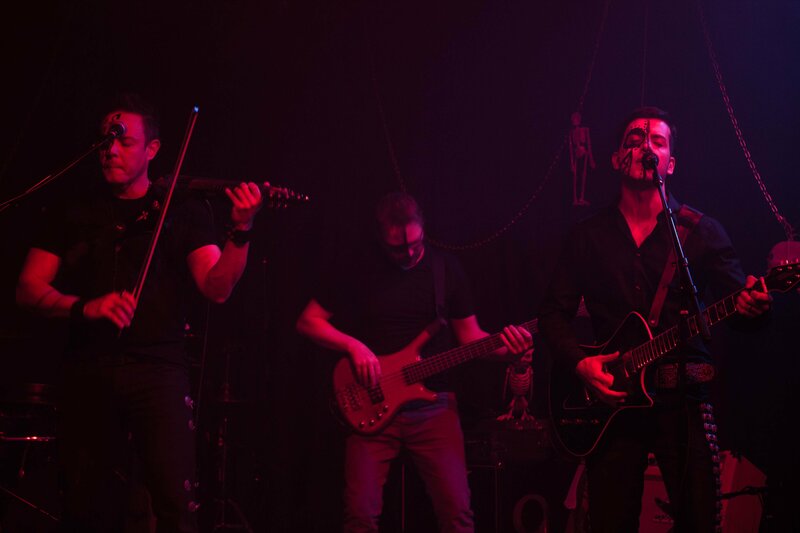 We actually do in our regular live show, this 16-minute medley of Metallica and iron maiden. It's really cool to hear trumpets on the intro to Creeping Death. 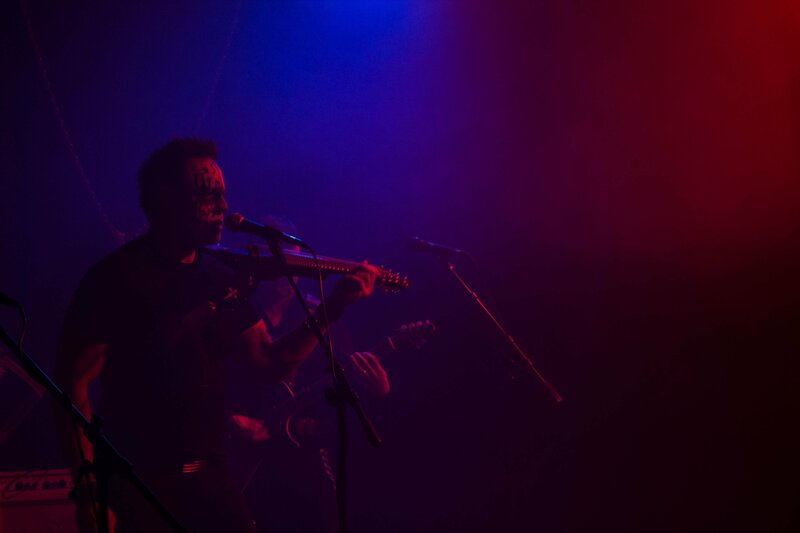 Let's talk about the band’s live performances, not only is the music itself full of passion and intensity, your stage presence of one to take note of, with all member rocking the traditional Dia de Los Muertos skull face paint. What inspired this performative decision? Yeah, we decided to do the sugar skull paint because the first show that we did was for Dia De Los Muertos, but we decided to go with just half face paint. So the right side is what we do to kind of represent that It's a hybrid of the American rock and then Mariachi. That just kind of stuck. So now I got to learn how to do my own makeup because I'm always waiting for somebody else to do it before the Gig. But I will make that happen, I'll add that to my skill set. What is next for the Tequila Rock Revolution? Are there any plans for more recordings like El Cascabel? Tours? We're almost done with the recording. We're doing "Cancion de Mariachi," the song Los Lobos and Antonio Banderas sang from the Robert Rodriguez movie Desperado. We're really excited about that. We're writing that with a guy named, Gabriel Guardian who's a super freak guitar players/shredder that also plays keys at the same time. He's got a band called Immortal Guardian, We teamed up on that because he's from Brownsville, and he grew up playing Mariachi, so we were talking about doing a video together. He's like, man, it'd be cool if we like metal and Mariachi tune and we already had El Cascabel, and I'm like, 'check that out.' He goes, 'dude, you did it already!' We should do one. So we picked "Cancion De Mariachi" and he brought his drummer from Immortal Garden, and it just, I've never seen anybody play like that. So these are singles? Is there an EP that these are all going to be under? You know, these days. I don't even know. What do you do? Spend all the money doing a single and a video for the single and then release another single. But then all the publicists say that the media and journalists and stuff, they want a full album to talk about. So what do you, do? You do an EP or. I don't know. So we'll see. I'm just gonna start recording stuff and you know. If we do an EP, hopefully, we'll be releasing it around Cinco de Mayo. Coming up on our last question. With there being pockets within our country where some people feel jaded or uncomfortable towards the blending of foreign cultures, would you say art like yours has a more important role now more than ever? Why or why not? I think really, it does because. There are a lot of purists, you know that like, I remember we had one trumpet player that her boyfriend is a Mariachi too and he told her, no you can't play that. 'You can't, it's not right to be playing Mariachi with a rock band. That's not what we do'. I mean I understand that from the sense, because like me, like I love old school country. However, I can't stand in this new pop bro country, that's not for me. But you know what that music does, even though I don't like it, it will bring new listeners to country music. Eventually, some of them are gonna go, 'well, who's this Merle Haggard they're talking about? Who's George Jones? Johnny Cash? ', and they go start listening to that. Right? So one of my main goals with Tequila Rock Revolution is, well obviously to play live and dominate the world, but to really bring people into the world of Mariachi. Because unfortunately, when you say Mariachi to a lot of people, the first thing they think of is the restaurant and the guy's playing, I just walking around the table to table, and the music is so much more intense and beautiful and complicated than that? It is apart of the rich culture of Mexico. My mom's from Mexico, from Jalapa Veracruz and my dad was from here, so that's part of it. More fun for us right? Exactly! We have a show coming up February 2nd at the One to One bar down on South Lamar for those who want to come out.